First US Visit will come in October. The new McCartney studio album will also come in the fall, just in time for the added European dates. A Hard Day's Night will be reissued in June 2014 for its 50th anniversary. Which means October 2014 for Let It Be — and, if I recall correctly, Ringo or Paul said something like 2014 or 2015 for Let It Be. Why would they release First US Visit in October when they can tie it into the 50th anniversary next year? And if anyone is thinking that Apple still has to release the mono vinyl set and won't want to flood the market, just remember, MMT and the Stereo Vinyls came out within a month of each other last year. Hey Roger!, what is it with AHDN?? they don´t own the rights to that?? No that's right. AHDN is not owned by Apple. It was owned solely by Walter Shenson, and he either sold it or his relatives sold it after he died. Help! was only co-owned by Shenson and NEMS, so it now belongs to Subafilms/Apple. 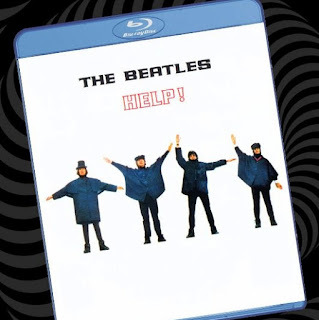 A Hard Day's Night is available on Blu-ray (here), but unfortunately it has problems audiowise since the current owners don't own the stereo version of the songs on the soundtrack, thus they have produced a fake stereo sound on this release. i'd like to know why the shea stadium concert hasn't been released on bluray yet.and why is it an edited version.doesn't someone have the full concert?i read ed sullivans company filmed the concert.wouldn't they have the entire concert?any way to contact them and ask them this. "The Beatles at Shea Stadium" is owned by Subafilms/Apple, but there may be co-ownership with the Ed Sullivan company preventing a release. We don't know. Why the two songs "Everybody's Trying To Be My Baby" and "She's A Woman" were edited out before the TV special was shown is anybody's guess. Whether they survive, is also another matter. At least we have the audio of "Everybody's Trying To Be My Baby" on Anthology 2. In 2006, a pristine clip of "Dizzy Miss Lizzy" was released to TV stations only, in promotion of the album boxed set "Capitol Albums Vol 2".